Our last two days in Uganda were in my opinion some of the best we spent there. The fellowship we shared with believers from around the world was encouraging. What was even more encouraging was hearing the true gospel being preached by people from around the world, and to worship together with them. On Sunday morning, we went to church at Community Bible Church of Kubamitwe, which is the church on the compound of S.O.S. We first attended Sunday school, where 4 Kenyan pastors who were also visiting shared the gospel and what it meant to them and to those attending. After they shared, two of our pastors shared as well. It was amazing to see such unity of message between men from across the globe. After Sunday school, we all migrated over to the main worship center for service. Over 300 people were in attendance there, and the church was packed to the brim with people. Worship began with some lively worship music, including drums, a piano, and a large group of singers up front. We sang songs like Mighty is Our God, 10,000 Reasons, and How Great Thou Art, with English and Lugandan words mixed together. It was really special to hear familiar songs be sung in the native language as well as our own. After singing, Shannon, the head of S.O.S, preached a sermon about spiritual warfare. He talked about how God has power over the evil forces of this world, and preached against those in Uganda who try to cast out demons. After the sermon, there was a short question and answer time, and we got insight into the culture of Uganda during this. People asked about their ancestors turning into demons because that’s what they had been taught, and they also asked about going to witch doctors to be healed or speak to their ancestors. Shannon continued to stress that only God has power over the darkness, and that the witch doctors are deceivers who don’t understand what they are messing with. It was fascinating to see how the culture had affected the people there in ways we would never have thought about. After church, we rested most of the day until that evening when we watched a soccer game between S.O.S. and a local village team. S.O.S. won, and it was a fun time with lots of spectators from the surrounding area who got very involved in the game. The audience blew air horns and shouted throughout the game, and when S.O.S. won, someone drove their moped on the field and did donuts while everyone celebrated. Later that night, we had a special time of worship in Shannon’s living room. His wife played the piano and our group, along with the Kenyan pastors and Shannon’s family, sung hymn after hymn at the top of our lungs, our hearts spilling over with thankfulness to God for all He had done on the trip. That special worship night will be one of the most fond memories I take away from that trip. The next day, we prepared to leave. We spent the day in the capital city of Kampala, eating a nice dinner at a mall there and shopping for souvenirs before setting off for the airport. After a tense 4 hour drive through traffic, which was only 20 miles and should have taken 45 minutes, we barely arrived at the airport in time to catch our flight, and we set off for home at around midnight. That last four hour journey was certainly an exercise in trusting God for me as we wasted away the precious hours of travel time sitting on the streets of Kampala! Our strengthened relationship with God. We become more Christ-like when we sacrifice in the same way Jesus did. Our joy that comes when we see the fruit of our labor. It could be years before we see any fruit from our service, but when we do, we can rejoice in it! I’ll be back next week with thoughts on my trip to D3 Youth Conference this week! I said in my last post that I would talk about how God is bringing blessings to Uganda through S.O.S. and how I saw it first-hand. Today I’ll explain these things more in-depth. On our second day in Uganda, our group had the opportunity to lead a chapel service for the Legacy Christian Academy. I played a guitar that I borrowed from the worship leader there, but I didn’t have a pick or a strap, so it was an adventure to try and keep the guitar up and play it loud enough for everyone to hear! After chapel, we were allowed to visit any classroom we wanted to. It was so much fun to get involved in the daily classroom activities, like grading papers and reading stories. After spending some time there, we were taken to the local public school to compare the great education the Legacy students are getting to the public school education. When we arrived, we were greeted by dirt floors and worn out equipment. Students were crammed into classrooms, sometimes 90 to a teacher. The switches used by teachers to whip their students sat in corners. Seeing this made us realized how blessed the community is to have a great school like Legacy there. After visiting the school, we worked laying lines down on S.O.S’s basketball court, and then we had dinner at one of the missionary family’s houses. On our third day, we worked on the holes for the fence I mentioned in my last post in the morning. After that, we had a boda ride to the nearest town for lunch. A boda is a motorcycle taxi. It was an amazing way to experience the countryside of Uganda, even if I was worried about a rock going into my eye the whole time! After an exciting ride and a delicious lunch, we went to the church where we joined up with the third graders from Legacy and did a “Spiritual Camp.” We had lessons on the power of God over sin, death, sickness, and nature. It was a joy to be able to play the guitar for these children and aid them in worshipping God! The kids spent the night at the church, and after finishing up with the camp the next morning, we set off on a road trip to our safari. After a 4 hour drive through the countryside, we arrived at Murchison Falls State Park, where we were able to see the Nile River cascade down a huge waterfall in what is one of the most breathtaking displays of God’s power I’ve ever seen. After spending the night under mosquito nets by the Nile River with monkeys on our roof and hippos grunting in the river, we set off on our safari. What an amazing experience! The views of the African savannah were endless, and we were able to see giraffes, elephants, hippos, antelope, water buffalo, a crocodile, warthogs, hyenas, and even a lion cub. The beauty and vastness of God’s creation was amazing to behold. After the safari, we went back to S.O.S. where a very special dinner was planned for us. This is when I got to see first-hand how God is changing the community there through S.O.S. Our group was divided up into groups of 2-3 people and sent out into the village to eat dinner at different homes. The family I had dinner with lived down a tiny path through the jungle in a small one room brick home with a metal roof and no windows. They had six children, and also had their brother and sister-in-law and their six kids living with them. They served us a delicious meal, but that was not what mattered. What mattered and what really impacted me was their testimony. The husband and wife had been living in an immoral relationship for years, and had most of their kids while in this relationship. When S.O.S. came to their village, they became Christians and were married in the church there. Their family was quickly transformed from sin and abuse to one that seeked to honor God. The father radiated with love for Christ, and he obviously adored his wife and children and was very proud of the fact that they were now married and were honoring God with their lives. To me, this was one of the most impactful things on our whole trip, to see how God had changed even one family through S.O.S. and more importantly through the Gospel. I’ll cover my last two days in Uganda, and my thoughts and applications from the trip in a post on Sunday. I’ve only given a brief summary of the trip, but I hope it’s encouraged you in some way so far, and I hope I can impress upon you what you can take away from this in my next post on Sunday. The journey to Uganda is a long one. It took well over 30 hours of continuous travel to get there, and we arrived exhausted and with little sleep. Thankfully, after a long drive from the airport, we arrived around 2:30 in the morning and went straight to sleep. The next morning, Shannon gave our group a tour of the whole compound. Not surprisingly, with over 160 acres, it took the better part of the morning. The compound is buzzing with activity, and it seems that there has been multiple things under construction from the time the ministry began 9 years ago. Shannon explained his vision for S.O.S. to us during this time, and it was inspiring to see someone so passionate and with seemingly no limits to what he wanted to do for God. What excited me most was the Shepherd’s Training Center, which will put students through a 4 year training program to equip them to be effective pastors in their local churches. Shannon plans to bring in men from all over Uganda, and in this way to strengthen the church there in the truth. The 4 year program will be divided into 3 parts, first focusing on discipleship, then theology, and the leadership. Housing was being built for the students, which will be able to accommodate 80 residents. Those in the last 2 years of their training will be able to have their families live with them as well. This amazing, very needed ministry is scheduled to begin in the next few years. I had the pleasure of meeting one of the future professors there, who is going over to America for seminary now. His amazing depth of biblical knowledge and love for the Word of God was inspiring and is something this theology starved, confused nation desperately needs. Sadly, Uganda is plagued by many false teachers who prey on the people there. The people’s desire to be out of their poverty makes them susceptible to false teachers who preach a gospel of health and wealth. These preachers fly over to Uganda to conduct “healing ceremonies” and tell the people that if they sell all that they have and give to their ministry, God will bless them, because God wants them to be rich and healthy. Sadly, these preachers only leave them poorer than before, and they neglect to address the most important issue of any people group, their sin problem, which can only be solved through the gospel. Praise God that Shannon is making it his mission to preach the right gospel to the people of Uganda, and to train Ugandan pastors to do the same! After touring the whole compound, we spent some time at the Legacy Christian Academy, and ate lunch with the kids. There I met a boy named Junior, who told me it was his dream to go to America some day. It was amazing to talk to a boy who was growing up in such challenging conditions yet had such a passion to learn and succeed in life. After lunch, I partnered with a couple other people from my group, and we helped some employees of S.O.S. dig holes to build a fence around some of their unused land. This fence was needed to prevent squatters who had been raising livestock on Shannon’s land. After this, we took a walk through the village. It was startling to see how the locals live. Most live in small, one room mud or brick huts, and do their cooking outdoors. People survive by farming and eating whatever they produce, selling the excess at markets and netting under 5 dollars a month in income. It is a very sparse way of life, but the blessings S.O.S. is bringing to the area are apparent. I’ll discuss how, and the ways I was able to see that first-hand in my next post, which should come Thursday or Friday. This is the common refrain I’ve heard repeated over and over again at graduation parties, bible studies, and at church. It’s nice to know that so many people care about my trip and want to see how it was. However, I continually find myself struggling to find the right words to say to answer a question that encompasses such a broad subject. I have found myself stuck in a rut of cool’s, awesome’s, and amazing’s. The better conversationalists have relieved me a bit by asking “What was your favorite part?” or something along those lines. That helps a bit, but on a 10 day trip it’s almost impossible to choose a favorite moment. Because my trip to Uganda was so long, I’ve decided to write 4 posts about it. This will be my first, which will mainly be an introduction to the trip. I decided to go to Uganda when it was announced at my church months ago. I had wanted to go on another missions trip since I went to the Dominican Republic a year ago, and had a life-changing experience. Because of that trip, I had high hopes and big expectations for my trip to Uganda. Our church recently began partnering with a new missionary named Shannon Hurley, who runs S.O.S., or Sufficiency of Scripture Ministries, in a small village called Kubamitwe in rural Uganda. The team I went with was the first team to visit his ministry. He started S.O.S. in 2002, and officially moved to Uganda in 2006. The story of how he ended up there is fascinating. While attending seminary, God blessed Shannon with a wonderful job that supplied abundantly for him. He became convinced that God was providing these huge funds not for his own personal enjoyment but to begin the ministry in Uganda. How many of us are as sacrificial with what God gives to us? Shannon started construction of his compound in 2009, which has grown quickly and now encompasses a church of 300 people, a school with grades K-4, 4 missionary homes which house his family and the families of 4 other missionaries who have partnered with him, a new seminary and pastoral training center which will open in the coming years, and an administration building, among other things. He now employs 20 people full time from the surrounding community, where the average monthly wage is under 5 dollars. His school, Legacy Christian Academy, has over 300 students, and he adds a grade each year. It is free to the community, and is giving an uneducated area its first chance at having a quality education in a safe environment. The local public schools are unpleasant, dirty places where children are literally beaten into submission. At Legacy Christian Academy, students are instead taught in a safe, modern environment and showered with Christ’s love. The truths they learn at school are then brought home to their families, and this has caused a tremendous change in the village. The culture of Uganda is very dark, with most people having multiple partners and not getting married. There are many Muslims, and crime and disease run rampant. Morals are an unknown subject in the Ugandan culture. However, S.O.S. is reshaping the morals and values of the village it is located in by preaching the gospel, and a large church has grown out of this called Community Bible Church of Kubamitwe. Many people in the village have become believers, and have gotten married and started to glorify God in their families. I was able to see first-hand how God is reshaping the culture while visiting the home of a local family there and hearing their testimony. I’ll share more about that in a later post. S.O.S. is reshaping the immoral culture of the village it is in through the saving power of the gospel. It is providing quality education, emergency medical care, jobs, spiritual nourishment, and soon pastoral training to Kubamitwe and the surrounding areas. This is the world that I stepped in to on June 5th. I hope you’ll come along the rest of the week as I explain day by day what God is doing in Uganda and what He showed me in my own life. As many of you might already know, my Aunt has decided to stop blogging on Good Morning Girls for personal reasons, for an indefinite amount of time. Since she has produced and published most of the materials for our studies, including the journals, and was in charge of what books of the Bible we were studying and what the reflection questions and verses of the day were, this obviously changes things a whole lot for us. 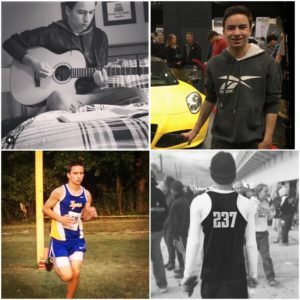 I wanted to let all my readers know what my plans are for the blog moving forward, as well as letting you all in on some exciting developments in my own life as I graduate from High School in a month. The first, and largest change, is that we will no longer be studying through books of the Bible like we have been since we started. I have really been praying about things, and I know that God wants me to continue to use my gift of writing to serve Him, however, so I intend to continue posting here. I haven’t figured out too much of what I want to do just yet, but I know that I will write about relevant issues to Christian boys and men in our culture today. I’m really relying on God to see where He wants to go with this, and I know He has a bigger plan than I could ever imagine. I will be taking some time off here for the next month or so, as I will be graduating High School in late May, and things are getting very busy. In addition, I’ve accepted a full-time job this summer, which leaves me only weekends and evenings to work on writing for this blog. Because of this, I plan on posting here as much as my schedule will allow. After summer is over, I’ll be going to college to study Communications and Marketing. I’m not sure how much time college and working a part-time job will leave me, but I can assure you that I will do my best to continue helping you understand the truth. One specific thing that you all can look forward to is a series of posts I plan on writing that should come out late June and early July. I will be going on a week-long missions trip with a group from my church to rural Uganda in early June, and I want to share my experiences with you. Depending on how it goes this could turn into multiple posts about what I’ve learned while on that trip. In addition, In late June I will be traveling to a youth conference with my youth group. In the past when I’ve gone to this conference, we’ve been blessed with amazing teaching and times in the word, so I hope to bring back some of what I’ve learned there with you. With all that being said, everything else is up in the air right now. I know God has great plans for this blog. I wanted to thank all of you who have read and supported me so far. I appreciate it more than you’ll ever know. My heart and biggest desire is that everyone who reads this blog will be brought closer to Christ. I always pray specifically for others that they would know the depth and vastness of a life lived with Christ. Reader, my deepest desire is that you would personally commune with God each and every day, and know exactly who He is and what He’s done for you. I desire for you to understand and know all these things accurately, and to love and cherish the truth of Christ with all that you are. I want to spur you on to live for the glory of God, because that is the only thing that will ever satisfy you. In the light of all this, I continue to pray that God will use this blog for His purposes, and I hope you’ll come along for the ride. This Friday, Christians everywhere will remember Christ’s death. It’s Good Friday, the Friday before we celebrate Easter. It’s the day Jesus died on the cross for us. How fitting that we come to Luke 23: 26-49 this week, the crucifixion and death of our savior. For our final blog post this week, I want to cover what the cross means for you. The cross of Christ is the turning point of History! The world will never be the same because of Christ’s sacrifice for us. If you really think about it, you probably wouldn’t exist today if it weren’t for the cross. If I think about my own life, I realize a few things. First, the country I live in wouldn’t exist if Jesus hadn’t died on the cross, because those who first discovered it came because of Christ. In addition, my great-grandparents, grandparents, and parents wouldn’t have met, because almost all of them met in a church or something related to Christianity. All things considered, I have Jesus’ death to thank for my existence today, and so do many millions of people around the world, including you! However, these things are of a secondary nature to the true importance of the cross and what it really means for us. It doesn’t matter if we are just thankful that Jesus died so that we could exist today. It matters how that cross changes our lives and our hearts. Jesus died for a way bigger reason then just bringing into existence countless societies and billions of people. He died to save our souls!! God originally created humans without sin, but Adam and Eve chose to disobey God in Genesis 3, bringing sin and death into the world and separating everyone from God. Because of Adam and Eve, we have a sin nature and no hope of ever getting right with God. We will always freely choose our sin and will never even want to choose God. God says in Ephesians 2:1, “As for you, you were dead in your transgressions and sins.” Our spirit is dead to God. The situation looks pretty hopeless. Christ came, and He died for our sins. He lived a perfect life and then died, taking on all the wrath of God against the sinners He would save. This is the most important news about the cross, but what does it mean for you? When Jesus died on the cross, He became sin for us so that we would finally have hope of being made right with God, by the righteousness of Jesus being placed on us. All we have to do is repent and turn from our sin, accept Jesus as our savior, believe what God says in His word, and decide to follow Him in everything we do in our lives. When we accept Jesus as our savior, we get God’s righteousness put on us from the cross of Christ. All of our sins, past, present, and future, are paid for. We won’t be punished for them any longer. If you haven’t accepted Jesus yet, please do it today. There is no better time than now. If you have accepted Jesus, then praise Him for what He did for you. It should be overwhelming to us that our debt is paid in full and that we can worship God and have a relationship with Him! Have you accepted Jesus’s sacrifice for you? If you have, how will you worship God for His sacrifice today? I put the lyrics in bold that I think relate best to this week’s study, which will focus on the story of the rich young ruler from Luke 18. Two years ago, at this same conference, one of the preachers continually hammered into the youth there the statement that “Jesus is better.” He was so passionate about it that he broke down into tears. I can still picture him passionately pleading with us to believe him and accept this truth, that Jesus is more soul-satisfying than anything else we could ever hope to find in this world. 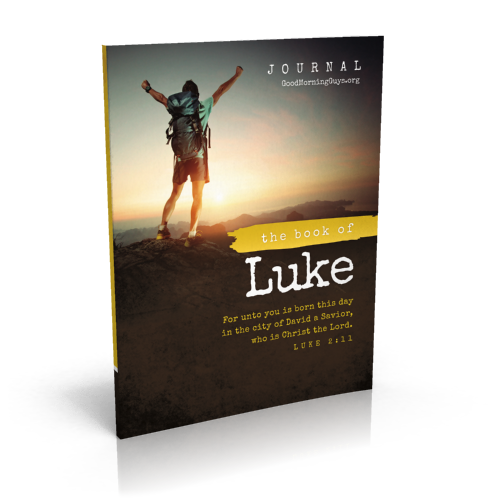 In Luke 18:18-30, a rich young ruler approaches Jesus seeking to know how he could inherit eternal life. Jesus first lists off all the commandments as the way to eternal life, since if they are followed perfectly, you would be sinless and allowed into heaven. Jesus knew that this man was sinful like every other human and had not followed the ten commandments perfectly, since it’s impossible. This was Jesus’ way of showing that the rich young ruler needed Him. However, the man arrogantly claims that he had followed them all. Jesus then reveals that the man had not obeyed all the commandments by telling him to give away all his possessions. The rich young ruler’s refusal to obey this command shows His idolatry of money, proving He had not actually followed the ten commandments but was instead worshiping money. This is a genius way to reveal sin on Jesus’ part. Jesus goes on to explain that it is impossible for someone who is rich to become a Christian apart from God’s help (Verse 27). After this, He explains that those who leave everything for Jesus will receive many more blessings, both now and in heaven. These are not material blessings, but spiritual blessings. So what can we apply to our lives from all of these truths? However, we must be cautious with wealth. We can’t make it more important than God or make it our life pursuit. Instead, we must be generous with what we have, and thankful to God for it. Job grasped this concept of openhandedness with His wealth when he said “Naked I came from my mother’s womb, and naked shall I return. The Lord gave, and the Lord has taken away; blessed be the name of the Lord.” He said this after all his worldly possessions were stripped from him, and his response ultimately proved his love for God, which God eventually rewarded with more wealth. In the same way, Abraham was willing to leave his hometown after being established there for 75 years and becoming very wealthy, as an act of faith to God. As Christians, we need to realize that Jesus is better! We need to live our lives solely for Him. If that results in wealth for you, praise God! Be thankful, be generous, and use that wealth for the glory of God. After all, everything is God’s and so is your wealth. We must be openhanded and willing to give up our earthly possessions for Christ whenever He calls us to. When you are living focused on Christ, this is not a hard thing to do. I went on a missions trip to the Dominican Republic that taught me this. (I took the picture at the top there) When we went, we were without many common comforts. We were living out of suitcases, sleeping on nasty beds with no air conditioning, taking cold showers, had no cell phone service or WiFi, and no cars except for those we rode in as a group. The people we were ministering to often had even less then we temporarily had that week. But you know what? That week spent with minimal comforts in a third-world country was by far the most blessing-filled week of my life. God just poured out spiritual blessings that week, and I would have gladly continued on without material comforts for the rest of my life just to keep serving and worshiping God without distraction like that. There is truly no greater joy than to worship God above anything else! We don’t need any of the comforts we have, and they are not what makes a happy life. Focusing on Jesus and worshiping Him is so much sweeter. Please realize this, and begin to be open-handed with what you have. Be willing to give it all up for Christ if He calls you to, and if not, be generous and sacrificial to those around you. Living this way minimizes distractions and strengthens your walk with God. Get rid of the idol of wealth in your life today. Give generously to those in need and to the spreading of the gospel. Start viewing your possessions as God’s and be willing to give it all up. Have you made wealth an idol? How can you be generous and thankful today? What is God calling you to give up to know Him more? According to a Pew Survey, 55% of professing American Christians rely on prayer when making major life decisions, and 63% of professing Christians in America hold regular prayer as an essential part of their Christian identity. What is your response to those statistics? If you’re like me, you are left wondering what the other 45% of Christians rely on when making big decisions, and what the other 37% think is essential to their Christian identity if prayer isn’t essential to them. These may look like encouraging statistics on the surface. The majority of Christians are praying, right? These statistics are actually extremely troubling, however. A sizable minority of Christians are neglecting prayer. They are starving themselves of the most essential part of a healthy relationship with God. You can’t be in a relationship with someone and never talk to them, can you? Prayer is the cornerstone of our relationship with God. God uses prayer to accomplish His purposes and change us. James 5:16b says, “The prayer of a righteous person has great power as it is working.” We do not pray to get God to do what we want, but rather to commune with God and get our hearts right in order that our wills are in line with God’s will. Once our will is in line with God’s, we can be sure that whatever we ask of Him will be given to us because we will always be asking for what is in His will. We know God is sovereign and knows everything that is going to happen. However, we can be assured that our prayers are one of the ways God accomplishes His sovereign plan, so it is not pointless to pray in light of God’s sovereignty. The Bible tells us to pray over and over again, but one of the best known and most important passages on prayer is Luke 11:1-4. This is the Lord’s Prayer, and just about everyone has heard it. This is the basis for our study today. The Lord’s Prayer provides a template for our prayers to follow, showing what sorts of things we should be praying for and in what order. The Lord’s Prayer shows us that our prayers should begin with glorification of God. “Hallowed be you name” is a petition that everyone would worship and adore God above everything else. Your prayers should begin with worship and adoration of God, and an expression of your desire to see everyone worship God in this way. The second thing the Lord’s prayer models for us is to pray that God’s kingdom would come. This kingdom is initially the kingdom of God manifested in each believer in the World today, and eventually God’s kingdom when He returns to reign on the earth. We are called to pray for both of these things to come. Specific things to pray about in this area include missionaries you know of, countries that need to gospel, people in your life that don’t know God, and that you and others would be ready when Christ returns someday. The third thing the Lord’s Prayer exhibits is a prayer for daily needs. As Americans we often don’t even think about our daily needs, but we should. We should pray to God in thankfulness for the abundance of blessings He has given us, and acknowledge that we are reliant on Him for all of it. Maybe we are in need of a something as well. This is the point in prayer to ask for it humbly. We are bound to sin in this life every day. We need to be confessing and repenting of these sins daily in our prayers, asking God to forgive us. This keeps us humble and frees our guilty hearts to worship God. In addition to this, every one of us is wronged by people every day. We should be praying to God for help in forgiving these people and loving them despite their sin against us. Every one of us is tempted to sin every day, and fighting it can get exhausting. We need to come to Christ daily in prayer asking for help from the Holy Spirit to fight the temptation of sin. These are just guidelines on how our prayers should look. Obviously, some prayers will be shorter and some will be longer. Some might just be a quick cry for help or a short thank you to God for something, while others might be hour long times of pouring your heart out to God. Either way, keep these 5 areas of prayer in mind and try to incorporate all of them into at least 1 prayer a day. Below are some reflection questions. Feel free to answer them in the comments below or just think about them privately in your own heart. How is your prayer life, and how can it be improved? How has prayer shaped and changed you and your life?